Hotel refinance rates are still attractive and there are numerous programs to choose from. One saving grace for the program is that it only has a 3 year prepayment penalty and the penalty is only 1% in the 3rd year, so it can also serve as good temporary financing. USDA B & I program – The USDA Business and Industry program is another option for the refinance of a hotel. It can be a good solution since a 30 year amortization is available, but the program is only for properties on the outskirts of cities and in rural or semi-rural areas, although many properties on highway interstates will qualify. It can also be tough to get anything other than a 5 or 7 year fixed rate AND the USDA has what is called a “10% net tangible equity requirement” which can be hard to overcome depending on how long you have owned your property and how much you have depreciated it. Rates are rising and could be anywhere from high 5’s to mid 6’s as of June 2018. SBA 504 Refinance (Expansion) program – This is a section of the 504 underwriting guidelines that has gone largely unnoticed since it became available, but it can be the right fit for certain situations. It has real value for the right borrower as it allows existing hotel owners to refinance their current properties while purchasing another property or while expanding their existing property. The key is that you can only refinance an amount equal to half of what you are spending on a new property or an expansion of an existing property. One caveat: if financing a new property, it will need to be cross-collateralized with the existing property. It is also worth noting that the guidelines allow you to pledge equity in an existing property in lieu of a down payment on another, so this program could be a way to buy a new property without as much of a down payment. The rate for the 504 first mortgage is negotiated between the borrower and lender and the second mortgage is currently 5.36% as of June of 2018. SBA 504 Refinance program – Hotel refinance rates for the 504 program are a very good value. Many hoteliers missed out on the the possibly of refinancing their hotel back when this program was temporary, but it has since become a permanent part of the 504 program and it is has helped a lot of hoteliers get good long term (mostly) fixed rate financing. The 504 refinance option allows for loans up to 90% loan to value with some cash out and offers a first mortgage that is usually fixed for at least 5 years and a second mortgage that as of July 2018 can be fixed for up to 25 years. For more info on the program click here. If you can meet all of the above terms you may qualify for excellent rates with terms of up to 10 years with 25 to 30 year amortizations. Bridge Loans – Hotel Bridge Loans are now available to refinance a hotel and convert or renovate existing properties. Terms will typically have an initial interest only period followed by principal and interest for a combined total of up to 3 years and with amortizations of up to 25 years. Funds can be used for major renovations, PIPs, FF&E and equipment. SBA self storage loans are primarily used by borrowers to get into the self storage business with the smallest down payment possible. In fact, SBA loans in general are all about leverage. It is one of the main reasons SBA loans exist and in the case of self storage SBA loans can be a shockingly good value, although like all loans they are not perfect. Ten percent down whether you are buying or building and this can be borrowed as long as you can prove you can afford the payments on the borrowed down payment from another source of income, including income from a spouse. 100% financing is possible for existing storage owners purchasing or building a new facility from the ground up as long as you have enough experience AND equity in your existing business and property to make a lender comfortable. If building, you can roll into the loan enough working capital to make the payments for the first few years. (This is relatively remarkable if you think about it). For ground up construction , the facility must start making money within 2 years of CO per SBA guidelines. Credit needs to be good – especially recently, but some lenders will make loans to borrowers will old BK’s with the right explanation. You DO NOT need self storage industry experience to get a loan. Funds from investors are allowed as long as you are putting in enough of your own cash. Down payment can come from a self directed IRA or 401k from a former employer tax and penalty free in some cases. It it sometimes possible to close on the land first with a bridge loan if necessary. A Personal Guarantee is required for all 20% or more owners. Minimum loan size with most lenders is $350,000. Maximum loan size with just ten percent down is approx $9 million, but any projects over $5 million will need to be very strong. Maximum loan size with 15% down is approx $15 to $17 million. With 20% down payment the maximum SBA loan amount for a storage facility is actually over $20 million. 3rd party management companies can be used to manage the facility, but there are a limited number of approved vendors for this. With less than ten percent equity in the project you may or may not have to put up other collateral IF you have addl collateral. SBA Loan Guaranty fees are typically between 2.5 to 2.75 percent, but they are finance-able. A market or feasibility study may be necessary for ground up construction or major expansion with some self storage construction lenders. The 7a program only has a three year prepayment penalty that allows you refinance with just a one percent penalty after two years. Because of the short prepayment penalty, the 7a program can effectively be used a bridge program allowing you to build the facility, get it leased up and then at the end of year 3 you can refinance it without penalty. Twenty year term and amortization is available on some Mobile or Portable storage businesses where you will lease the property if there is enough “long life” equipment. You can finance RV and Boat Storage facilities using all of the same guidelines as SBA self storage loans. If you are financing outdoor Boat and RV storage, some lenders – whether it is construction or not – are fine with minimal site improvements as long as there is a fenced lot, a small office, lighting, possibly gravel, etc. while others will require some “there” there. In other words, some lenders want the property to be paved, striped and fenced with some canopies for covered storage. In almost all cases you will need a regular job/regular income, but IF you have a strong transaction AND you have significant cash/assets it may be possible to get a loan regardless of whether you have a “regular” job/another business. Acquisitions with minor or major expansions are possible. Conversions to re-purpose existing buildings are possible. If you have owned the property for 2 years or more you can use the equity in the land towards your equity injection/down payment. Purchase of an under-performing facility is possible IF you will be adding onto it and projections provided by a reputable consultant show that the renovated facility will be profitable within a few years. You can finance solar panels added to the rooftops (or carports) or put in a ground mount system. If going green (typically with solar), you can use the SBA Green Loan to get more SBA eligibility. Most 7a loans are going to be “floating rate” loans between Prime + 1 and Prime + 2, but fixed rates are available. In fact, 25 year fixed rate SBA self storage loans are possible in some cases and 504 loans always have a fixed rate component. i.e. the 504 first mortgage is usually fixed for at least 5 years and the second is fixed for 20 or 25 years. 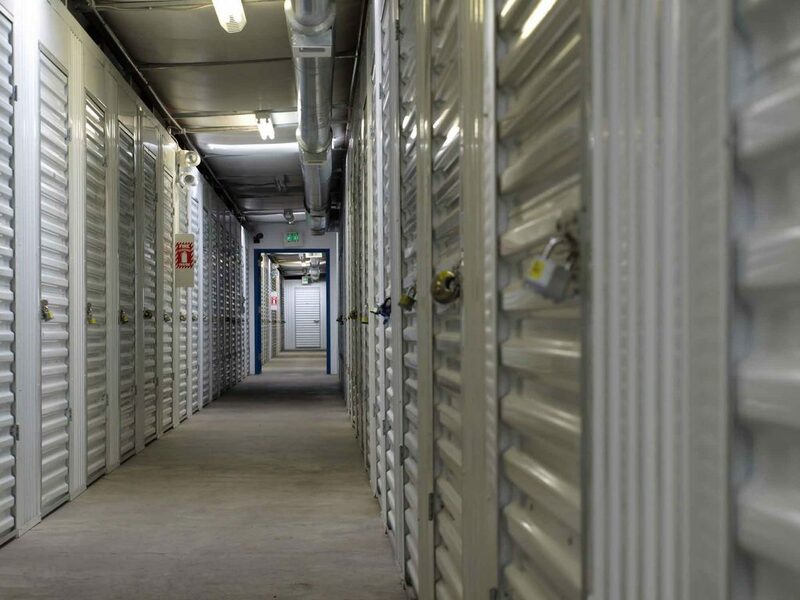 There can be other buildings or tenants on the property as long as the self storage component is at least 51% of the total square footage and the self storage income is significant enough. Owners or managers can live on the property. 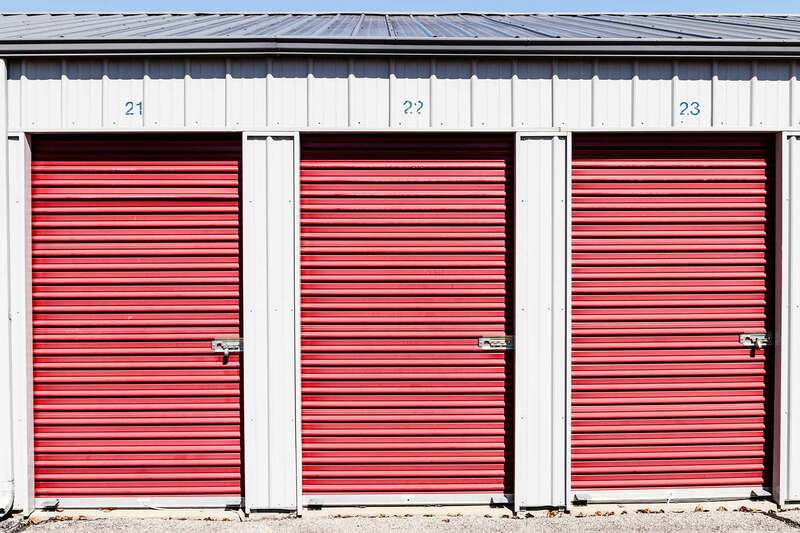 You can use both the 7a and the 504 to refinance a storage facility. In some cases, a facility constructed of shipping containers can be acceptable. It can be also acceptable to cross collateralize other properties in lieu of putting cash down… it just depends on the merits of the deal. At Green Commercial Capital we help a lot of small business owners with 100% financing and because we promote that fact, we get a fair number of calls from real estate investors hoping that 100 percent investment property financing exists. Well, it does and it doesn’t, which gets me to the subject of this post. I put 100 Percent in the above headline in quotes because while this post is about whether or not 100 percent investment property financing is possible, what we are talking about here is a very viable means of getting to “100% financing” for self storage, mini storage or boat and RV storage properties as long as you have the ability to put down 10%, BUT since that 10% can be borrowed, you can effectively structure 100% financing – just with a asterisk. So basically, at a minimum it is 90% financing, but if you have the ability to borrow the 10% down payment (and many people do) or if you have a self directed IRA or 401k from a former employer with enough in it to put down 10%, then (voila!) you can structure 100% financing. I resisted giving this post the title 100% investment property financing lest I sound too much like a “no down payment” late night infomercial from back in the day, BUT I wanted to make the point that this is an extremely realistic option for many novice and experienced real estate investors – many of whom do not know it exists or never considered investing in or owning self storage…or perhaps assumed they needed 25% or more down to get a deal done. As mentioned above, we get a lot of calls from experienced (and aspiring) commercial real estate investors looking for no down payment commercial loans or 100% investment property financing. Sometimes these people are very unqualified and sometimes they have what it takes, but they may not know it yet. Most of the time they are calling about multi-family or apartment loans and each time I have to tell them that we cannot do it, BUT what I can tell them is that it is possible to structure 100% financing of self storage/mini-storage or boat and RV storage facilities IF you have the ability to borrow 10% to put down and meet the rest of the SBA loan requirements. Lots of real estate investors are aware of self storage and think of it as “investment property,” but many who are contemplating purchasing investment property do not know as much about mini storage since multi-family and apartments are generally what is most talked about by real estate investors. Ironically, mini-storage can be financed as an owner occupied business property with an SBA loan. 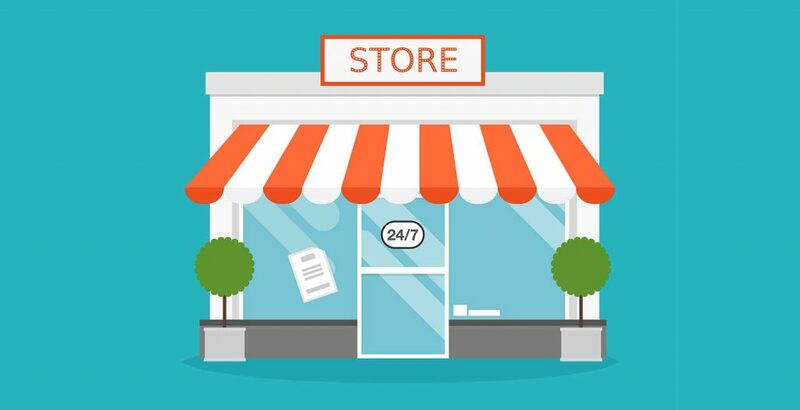 The reason for this is the majority of self storage businesses are owned by “mom and pop” small business owners who either actively manage the property or have an arrangement with a 3rd party manager, but are “involved enough” in the day to day operations to be considered a “small business” and therefore able to pass the SBA eligibility test. What I have found is that many borrowers have the ability to come up with the down payment either by borrowing against their home, an investment property, from a finance company, a relative or a retirement account. Gift funds are okay too and you can have “investors” as long as you have either enough of your own skin in the game (or some other quality that causes a lender to feel that you are a good risk) and you keep any investors under 20% ownership. Even those real estate investors I have helped who own 1-4 family or apartments and who had some self storage knowledge had no idea you could buy or build a facility with 10% down and that the 10% could be borrowed. In each case, they started thinking about how nice it might be if they could take the majority of the “human” element out of the their business. In other words, if someone does not pay their bill you can quickly and without much drama say goodbye to them as a client as opposed to evicting a family. You only need 10% down for a purchase or for ground up construction. If you are doing ground up construction, you can actually finance enough operating capital into the loan to get the property to breakeven. (You might want to re-read that, because this means the first few years of payments on the loan are baked into the loan). Think about that. The facility must breakeven 24 months after Certificate of Occupancy per SBA rule. A feasibility study from a reputable consultant may be required for construction. Some lenders do not like previous bankruptcies/some will require a bankruptcy to be older than 5 years. Some lenders will not do loans under 500K/others will go as low as 350K. The max loan with 10% down is between $9 million and $10 million. The max loan with 15% or 20% down is much higher ($20 million+) and case by case. It is possible to use a professional third party management company, but only a few are approved by SBA. If you are only putting down 10% AND you have more than 25% equity in another property, you may have to live with having a small lien on that property for additional collateral, but this can be case by case as well. The SBA loan fees are not cheap, but they are financed along with most other closing costs. The 10% down SBA program only has a short 3 year prepayment penalty and the penalty is only 1% after year 2. Many people are using this program to get a facility built and leased up with 10% down on the total project costs with an eye towards refinancing after 3 years when their self storage facility is worth a lot more. 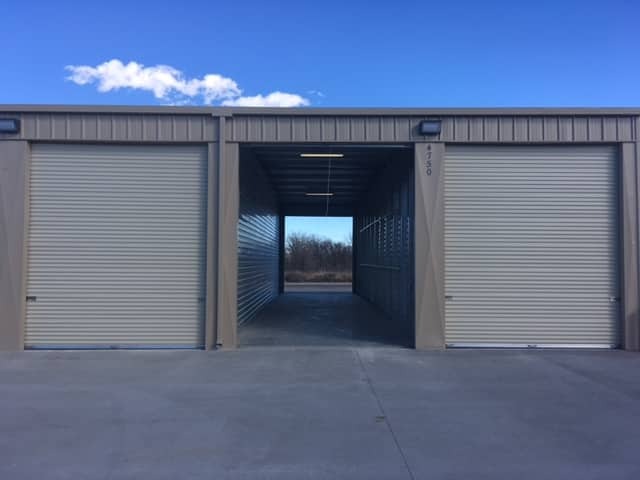 All of the above applies for Boat and RV Storage although if building outdoor Boat and RV Storage you may need some structure on the property (canopies, small building, etc.) to be eligible with some lenders. Bottom line, this is a phenomenal “investment property” program that offers incredible leverage. Please get in touch if you would like more info: jking (at) green commercial capital (dot) com. If you own a small business and you are looking to finance 100% of a property that your business will legitimately occupy at least 51% of, then you can get some good info here. You read that headline correctly. 100% LTV commercial real estate financing is possible for successful small businesses. 100% LTV commercial real estate financing is purely an SBA offering from a small percentage of preferred lenders. These are real estate loans for “owner occupied” commercial properties which means that your business must occupy at least 51% of the property. These loans are NOT for investment properties. Small business typically has to meet a DSCR (debt service coverage ratio) of 1.25x, but there are exceptions. All business owners must have good credit and good credit scores. Poor past credit must be old, explainable and isolated. Many borrowers who had credit issues during and after the recession have qualified for 100% financing. Typically you must already have a history of ownership of the business seeking financing as new business acquisitions require 10% down by SBA rule,* however, in some cases 100% financing is possible for an existing business buying another business (and building) of the same type. Ideal candidates would be businesses with current lease payments close to what their new proposed mortgage payment would be, but many borrowers can certainly qualify for larger loans with significantly more expensive payments as long as their business is profitable enough and the debt service coverage ratio is where it needs to be. Keep in mind that SBA requires a business “owner occupy” at least 51% of a building* and that the cash flow of the business be strong enough to qualify for the loan, but the other 49% of the building can be rented out. So…it is possible that you could purchase a building that currently has one or more tenants or you could take on tenants and significantly reduce the amount of your monthly expenses. * Technically, the SBA allows a borrower to put down just 5% on a business acquisition IF the seller of the business is willing to hold a second mortgage on “full standby” equal to 5% of the sales price. 100 percent commercial loans are not a new thing for SBA lenders. For many years, lenders have recognized that the down payment has been one of the biggest impediments to buying small business real estate, and many SBA and some conventional lenders have made no down payment loans available to certain types of businesses (typically dentists, doctors and veterinarians). This post is about a more recent development where some lenders are allowing 100% financing for ESTABLISHED SBA-eligible businesses that are otherwise solid but do not have the larger down payment that many lenders require. There are more options if the building to be financed is a multi-use or “general purpose” building that almost any type of business could occupy, but we have seen transactions where non-traditional buildings have been approved, for instance, a dog daycare business with a building and a little bit of acreage, assisted living facilities, residential board and care homes and franchised restaurants. This program allows for well over 100 percent financing because if your business is strong enough you can also roll in renovation costs, closing costs, other business debt and working capital. Single purpose properties like self storage and other “special use” properties may qualify for “no down payment” financing if your business has at least 10% equity on it’s balance sheet that you can leverage to purchase another property or business. For this to work, the existing business must be solid and must purchase the new business/building using the same corporate structure with the same borrowers/guarantors. This technique can also be used for a business expansion with no commercial property. In this case, a lender may require a business valuation to substantiate that there is enough equity in your business to leverage your balance sheet to buy another business and the acquired business must become a part of the existing business, however, non-real estate deals are typically limited to a 10 year term and amortization rather than the usual 25 years. Additionally, if you are looking for high leverage then please get in touch as we have seen numerous transactions where borrowers with other sources of income have borrowed the minimum down payment. In fact, we have helped numerous self storage clients do this as many borrowers looking to own storage properties have another source of income, a spouse with income or another job or business. It is also possible to rollover a 401k from a former employer or use a self-directed IRA for the down payment and their are ways to do it tax and penalty free. Gift funds are allowed with the SBA programs as well and you can also have “investors” – typically friends or family who would give you part of down payment in exchange for some ownership in the business. Please contact me at jking (at) green commercial capital (dot) com if you have any questions or if you would like to see if you qualify. You can also find out more about the program on our website: here. *60% in the case of ground up construction. Golf course loans are possible again IF you have had a solid last few years. We recently assisted a client with a $3.4 million refinance of their golf course and the key to getting the loan approved was consistent cash flow for the last few years and solid guarantors. So, yes…it is possible to refinance a golf course or to get funding to purchase a golf course, but the course’s financials must be solid for the last few years. As anyone in the industry is aware, the Recession ruined a lot of courses and the ones that survived had a pretty rough few years (and some ugly tax returns to go with it), but there are those that are coming back and just might be finance-able. The deal we recently completed was a pretty typical SBA loan, although we had the added challenge of helping to negotiate with the current loan servicer who represented the company that bought the loan from a lender that went under and let’s just say that the company that bought the loan did not necessarily have the best interests of the client at heart when they purchased it. (i.e. the terms the borrower’s thought they had weren’t necessarily the terms). There are some caveats to this story and any excitement should be tempered by the fact that there are still very few SBA lenders willing to even look at a transaction and with such a small number of active lenders doing a limited amount of loans (no lender wants to have too many golf courses in their portfolio in any economy), it will be tougher for you as a borrower to stand out, but if you have 2 years of tax returns showing a healthy profit and current financials showing solid cash flow and good trends…then you have a shot. Long term fixed rate financing is available for owner occupied medical, dental and veterinary buildings for 100% of the building costs – including construction – for existing, profitable practices. This program is a 2 loan structure where the first mortgage is a 25 year fixed rate for 90% of the purchase price (or construction costs) and the second mortgage is typically a 10 year fixed rate in the amount of the 10% down payment. The key to making this program work is that you must have “lend-able” equity in your practice against which you can borrow the down payment. The “lend-able” equity calculation is typically pretty straight forward: 70% of gross revenues minus any existing practice debt = equity. (In some cases, it may be possible to go above 70%). Both of these programs are also available independent of each other. In other words, if you have a down payment and are just looking for a long term fixed rate of 25 years, then the fixed rate loan option is an extremely good deal…and if you are just looking to tap the equity in your practice for some other reason or to consolidate practice debt you can opt do that as well and the same equity calculations would apply. *Please note that the new practice equity loan needs to be in a 1st position on the practice, so any existing practice debt will need to be paid off with the proceeds, so keep that in mind as you make any calculations. Also, keep in mind, that most loans are attractive 10 year fixed rates with multiple, reasonable prepayment options. If you do not have enough equity in your practice to qualify for the above program(s) but your practice has enough cash flow to service the new/proposed debt on a building, then you may be able to borrow 100% in one loan (fixed for up to 5 years) with a 25 year amortization. This other option is less aggressive but still better than most when you consider that you do not need a down payment. The rate for this 5 year fixed rate program is a little higher at approx 6%. Please contact me at jking (at) green commercial capital (dot) com or 1-800-414-5285 for more info. Loan rates for the 2 largest SBA programs – the 7a and the 504 – are quite a bit different from one another because the programs themselves are quite dissimilar. The programs are similar in that they can be used for the purchase or construction of owner occupied commercial real estate. The 7a can be used for the refinance of commercial real estate as well as other business debts, and the 504 in rare instance of a major expansion can be used for refinancing real estate or equipment, but beyond that there are some major differences and these differences are partially responsible for the difference in rates and terms. The 504 program is only used to finance commercial real estate (including FF&E) or long-life equipment. It can be used for purchase or construction of a building – and occasionally – the refinance of owner occupied commercial property AND for the purchase (and possibly) the refinance of equipment. SBA loan rates for commercial real estate transactions can be amortized over 25 years with the 7a program, whereas loans for working capital or business acquisitions can only be 10 years. 7a loans can also have a “blended maturity” when the loan is used for multiple purposes as when you are purchasing a business with a lot of goodwill and a lot of “long life” equipment. The SBA lender can finance the equipment piece of the loan over the remaining useful life of the equipment and the goodwill over 10 years giving you a blended maturity. 7a rates for commercial real estate loans can be anything from a “Prime plus” variable rate to a full 25 year fixed rate. We currently work with lenders that cover about 40 states who offer the 25 year fixed and it is a ridiculously good deal, so please call me at 1-800-414-5285 to see if we can help you lock in your rate for 25 years. Most of the very active 7a lenders prefer to offer a rate at a set margin above the Prime Rate and it is typically anything from 1 to 2.75% above Prime. Typically these “active” lenders will have more flexible underwriting criteria than the few lenders who will offer a true fixed rate. A 5 year fixed rate is also gaining in popularity as more lenders are willing to offer it. The loan is fixed for 5 years and then adjusts after that. Most of the active lenders prefer to offer something between 5% and 6% at the moment. There are other options as well including a 10 year fixed with a 25 year amortization (for commercial real estate transactions), but again this is relatively rare and the rate would be higher than the 5 year. The 504 program is only for commercial real estate and equipment (no working capital, etc.) although there are lenders who will offer a “companion 7a loan” for stronger transactions if you need working capital. 504 rates are actually 2 (really 3) loans because in 504 lending there is a first mortgage, a 2nd mortgage and a bridge loan, although it is not as cumbersome as it sounds. The rate for the first mortgage is negotiated with the lender and in the case of real estate is very commonly a 5 year fixed rate with a 25 year amortization. The one constant with 504 rates is the 2nd mortgage which is typically a “below market” 20 year fixed rate. The rate is based on the monthly sale of a debenture (bond) on Wall St. The rate for the second is currently in the 5.20% range. SBA Loans: Do You Need A GPS? I think we all enjoy helping other people. Think about it. If you have expertise about something and someone asks you for help in understanding that certain something it feels good to be able to help them. It is human nature. It is how we are wired. …and c) because it feels good. In fact, most of us go out of our way to help these total strangers. You might even ask them if they really understood what you told them, because you know from first hand experience what it is like to try and digest the info you receive in this scenario. First of all, you are a little embarrassed that you are in fact, lost. Secondly, you are in unfamiliar territory and probably not sure which direction you are even facing at the moment. and fourth, you are trying really hard to act as if you understand the directions as they are being given to you even though you have that “You know, I actually don’t speak human” look that you get from your dog when you give anything other than a simple command. Of course, this doesn’t happen much anymore in a world where everyone has a GPS on their phone, but you get the idea. Well, the world of SBA lending can also be a little confusing and borrowers tend to feel a little lost. They get lost in the terminology – SBA 504 for instance, sounds more like the name of a copy machine than a loan program. They get lost in the various SBA caveats: properties need to be 51% owner occupied unless new construction then it is 60%, business acquisitions with INtangible assets greater than $500,000 and less than 25% down/equity have to be underwritten by SBA and not just the lender, etc. There is also no single lender who will just underwrite using the “SBA underwriting manual” as each and every lender has their own set of underwriting guidelines. As an example, many lenders will not lend on self storage because they consider it to be investment property regardless of what SBA says. Some lenders have no minimum credit score as long as there is a good explanation, some require 640 no matter what the circumstances. Some SBA lenders will approve you for a loan after a bankruptcy or foreclosure depending on how long it has been and what the circumstances were. Some require large down payments when it might be counter intuitive that one would be required. Some will finance 100% for certain types of businesses. On top of all this, you will frequently find a lender who will sound like they are singin’ your tune, but after a week or two or three they break into some Meatloaf karaoke, you know…”I will do anything for a loan, but I won’t do that,” and you find yourself starting over. Time is money and unless you have a rock solid transaction, fighting this battle on your own can be like the Enterprise venturing out into space without Scotty or Spock. (i.e. there’s a good chance you get sucked into a black hole). Can you do it on your own? Sure. Would you find the right deal? Maybe. Would it be worth it? Possibly, but what is the cost? How much of your valuable time is it going to take to find the right deal and get it closed? Can I get you a good deal? Yes. Can I get you a great deal? Very possibly. Can I guarantee you the best deal? Nope, nobody can. And there are always better deals. Have you ever paid the lowest price on the planet for anything? I haven’t. Someone is always going to find a better deal than you on every purchase – be it a car, a home, a building or even a bottle of wine, so the question you have to ask yourself is: “do I let someone help me or do I go it alone? Both ways can work, but if you feel like you need some assistance then I can probably help you navigate your way through the process and to the right lender. Contact me at jking (at) green commercial capital (dot) com or 1-800-414-5285. Click here to find out how it may not cost you a penny. *Disclosure: Unlike a real GPS, I don’t actually use low earth orbit satellites to triangulate the location of a good lender.